Can I just tell you my least favorite part of raising rabbits? Selling rabbits. I know this may sound silly, but selling rabbits ranks right around cleaning out the waste pile for me in terms of favorite activities. Partially because there is no right or wrong rule with setting prices, and there is a lot of back and forth variety in what breeders do in specific areas. Add in flaky buyers who fall through at the last minute and, in general, it’s a challenge! We’ve just upped our prices a tad – it’s the first time in three years we’ve done so. It’s always hard to consider raising prices, and I want you to know we are doing so intentionally, not because we suddenly want more bang for our sales. 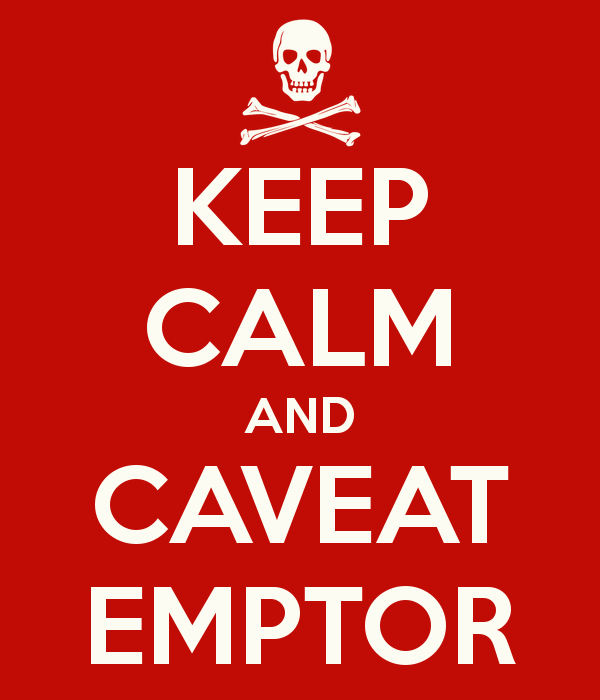 Since we breed rare breeds almost entirely, we keep availability in mind. Yes, it’s extremely difficult to find some of these breeds – and truthfully we have paid a top dollar for most all of our foundation animals. However, we would love these rare breeds to gain in popularity, which means that if you price them too high you run some serious, great breeders out of the game with a high price. We’ve also become pretty choosy with our keeper/sellers and in the past two years we’ve culled hard, which has improved the quality of our herd overall. When I think back to the rabbits we had several years ago, I’m proud of the progress we’ve made with the breeds, and there is a dedication to care and analytical breeding that has been proven in the test of time. Are we perfect, not at all! But do we have better judgement than we did when we were starting out? Absolutely. Are we producing higher quality animals? Yes, we are. People who buy a Mad Hatter Rabbit now receive the benefit of the education we’ve gained over the years – and there’s value to that. I believe you’ll still find us on the “reasonable” spectrum of the prices for our breeds, as our goal is still to provide a quality rabbit at a decent price to encourage other folks to raise these heritage and rare breeds. We thank you for your patience and look forward to working with you! We no longer keep a waiting list for sales, despite many requests. Over the years we have been contacted by many people regarding purchasing rabbits, which is always such an honor! When we have rabbits available for sale, we are happy to hash out the details of the purchase, transport, etc. But other times we don’t have exactly what the buyer is looking for and so aren’t able to help immediately. Almost invariably the buyer will ask to be put on the waiting list for their specific rabbit. In the early days of Mad Hatter Rabbits, when every cage was shiny and the food crocks still had the stink of the factory on them, we kept a waiting list. It was a lovely excel spreadsheet with the contact information of every person who contacted us, the date of communications, the exact request they had for their rabbits. It was a thing of beauty and organizational structure and it gave great joy to it’s maker, ME. But then, the dark shadows of reality began to intrude. I would contact people on the waiting list to tell them their rabbit was available and they’d tell me they’d changed their minds. Or purchased a rabbit from another breeder. Or moved to Zimbabwe and developed a rash from looking at rabbit pictures… there were any number of reasons they were backing out of the purchase. My excel spreadsheet became a mausoleum of unrealized dreams. It was a sad, sad thing. I grieved. After about two years regularly getting burned by flakey rabbit folks, we made an executive decision. What stock is available will be posted on our rabbitry facebook page, and if people contact us directly and we can help them, we will. First come, first served at that particular moment. If the buyer is consistent in pursuing us, we can pretty much guarantee we’ll get a rabbit to them as quickly as possible, but the responsibility now lands on the buyer, rather than us as the seller, to follow through on the effort of a stock purchase. I still miss that excel spreadsheet, but it was time to build a bridge and get over it. Do you maintain a waiting list? What do you need to start a 4H rabbit project? We have just finished the county fair around here and are proud to announce that one of the kid’s mini satins was awarded Reserve in Show and our oldest was given the Champion rabbit showmanship award for her division. Good times! Of course, being around all of those awesome 4H kids and their different projects, plus learning more about the livestock auction and its ins an outs has encouraged our kids to start working toward starting a goat (!) project! Eek! Our first step has been to start the research and as we’ve tried to gather information about goats, I’ve realized that other people might feel the same about how to start a rabbit project, so a post on how to get into rabbits might be helpful to you all! Finances. One thing I really appreciate about the 4H member record is that it forces the child to lay out a budget for their project. Things you should consider as you’re starting a rabbit project are: Stock, Food, Housing, and Tools. Purpose. What type of project do you want to purse? A market/meat project? Doe and litter? Showmanship? Each of these categories might require a different set up so begin with the end in mind for your success. Stock: The initial investment of stock is a big deal and many parents don’t have a clue as to where to begin to help their children! Consider the purpose of the project – if you want to do a meat pen, take a look at the breeds of commercial typed rabbits and then ask your fair what breeds of rabbit have been recognized for excellence in your area previously. If you want a doe and litter, look to a breed known for their mothering abilities. If you want a showmanship rabbit, look for breeds with a reputation for being easy to handle. Make sure that you have a copy of the American Rabbit Breeder’s Association Standard of Perfection, which is the book with the identifying characteristics of each breed. This $20 investment will save you hundreds if you allow it to teach what you’re looking for in choosing your animals and how to steer clear of disqualifications. Food: Each region of the country has different food offerings, so ask around. Your local feed store will be able to tell you what their best selling feed is, and if you do an internet search for food recommendations you’ll get many results. Recognize that people have really passionate about their food and many breeders blame their feed for all of their problems! Feed costs will vary over the year based on what breed of rabbit you have and how much the pellets cost (a meat rabbit will eat approximately 200 lbs of pellets in a year if they’re being feed 8 oz./day). You’ll get a better price on a larger bag of feed, but make sure you’re not feeding your rabbit old feed about 3 weeks old is the longest you’ll want to keep feed for your rabbit. Fresh feed = healthy rabbits. Housing: We follow the guidelines from ARBA and a book, Storey’s Guide to Raising Rabbits by Bob Bennet in our housing choices. We have chosen to purchase our cages from KW Cages and Klubertanz and find both cages to be of excellent quality. Putting your rabbit in a cage with rusted wire or uneven angles will hurt their feet and make their life harder. Food and water can depend on the preference of your rabbit as well as your area. For years we’ve used stainless steel crock water dishes in the winter when it’s freezing and water bottles for the summer time – but there’s not a right or a wrong to this. Consider what you will do with your rabbit waste. 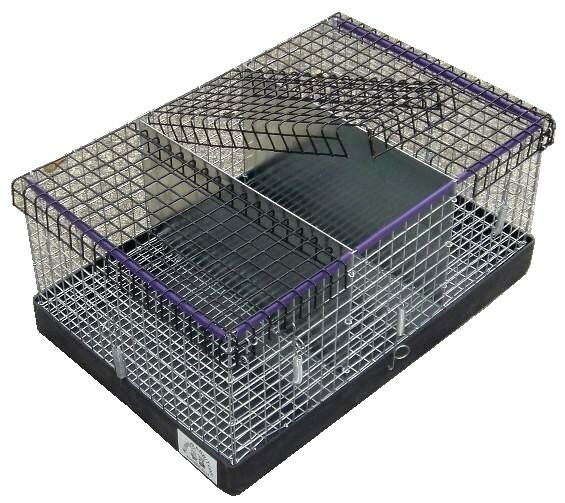 Are your cages going to have pans for the droppings? If so, budget for bedding to cut down on the odors and ammonia from the urine that can hurt your rabbit’s nose. Are your droppings going to go to the ground? If so, do you have access to a shovel and wheelbarrow? Do you have a compost pile? Do you have a garden where you can put the bunny berries? Are you raising a doe and litter project? If so you’ll need a nestbox. You can use a variety of items for your nestbox – we’ve found we prefer this style ourselves because we can clean them reliably, they are able to withstand consistent use, and they’re secure for the kits. Tools: Livestock require tools for handling and rabbits are no exception. You’ll want to have access to a tattoo tool, whether a pen or clamp. (We use a KBTatts tattooer and love it. We also have a rabbit wrap that is extremely helpful when tattooing.) For grooming you’ll need to have nail clippers and possibly Kevlar sleeves to protect your arms from scratches. An apron or a pair of overalls can protect your midsection from scratches and your clothes from rabbit toenail snags and rips. If you have a wooled breed of rabbit you need a grooming comb. 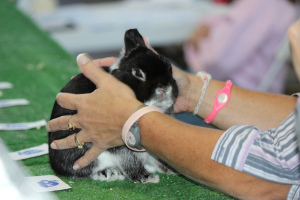 When you take your rabbit to a show or fair, you need to have a safe way for them to travel. We use these 3 compartment, 3 lid travel carriers and we love them because they have individual openings for each hole. I’ve tried to put together a pretty exhaustive list here, but I’d love to hear in the comments if you’d recommend anything additional. Starting a rabbit project is easy – rabbits are quiet, pretty clean, a lower monetary investment, and pretty cheap to keep. We’d recommend them! Now… who can help us with the goats?! Ha! More and more we are contacted by people who are interested in beginning their rabbit raising adventures! This is a huge kick for us, as we have found raising rabbits to be affordable, entertaining, and nutritious! This is a first stop resource for beginning rabbit breeders. 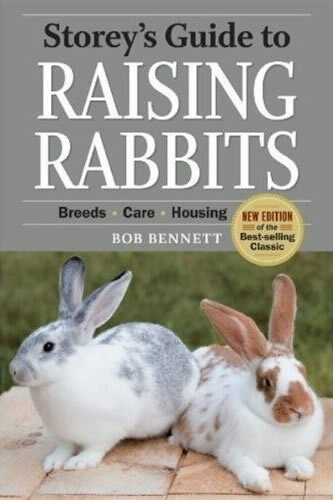 Read Storey’s Guide to Raising Rabbits by Bob Bennett from cover to cover. This is a great resource! We found our copy at CalRanch but it’s also available on Amazon. His perspective helped us decide what design to use for our rabbit hutches, and gave us practical information on basic rabbit husbandry items. While it doesn’t go into great detail about every single aspect of rabbits, it does provide plenty of information to get you started well and understand what you’re doing and how to purchase your initial stock. A subscription to the Domestic Rabbits magazine comes with your ARBA membership. Join ARBA (the American Rabbit Breeders Association). Not only will being a member of ARBA give you access to their publication, Raising Better Rabbits and Cavies, you will also receive the Domestic Rabbit magazine! Every issue provides articles, district reports, veterinarian tips, and listings of individual rabbit raisers who are setting the bar high. This is a great resource for finding breeders who are showing, registering, and granding their rabbits – find the people who are serious about their rabbitry and you’ll find people who will help you get started well. The articles are top notch and relevant. The ARBA Standard of Perfection gives the details of each breed. Purchase the Standard of Perfection. This is an ARBA publication that is invaluable to the new breeder. The SOP has vocabulary and definitions of different rabbit body parts, diseases, breeds, etc. Each recognized breed is listed in the SOP along with the expectations for weights and how the rabbit should look. 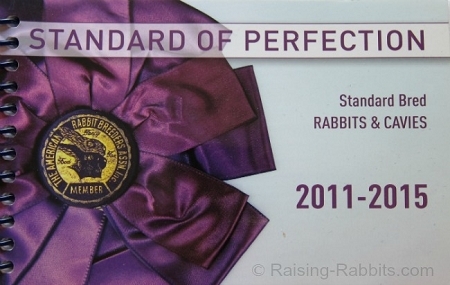 If you want to raise rabbits that promote the breed well – and be reputable, you need to know what’s in the Standard of Perfection. 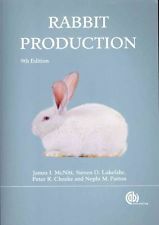 Rabbit Production is a comprehensive manual and excellent resource. Consider Rabbit Production. Once you’ve fallen in love with rabbit breeding and you’re looking for a much more detailed explanation of best practices, diseases, etc., you will want to spring for Rabbit Production. This comprehensive guide is amazing in its scope! It’s a true asset to have in your library, although it does run on the pricier side. Domestic Rabbits and Their Histories can give you great insight into the work needed to establish rabbit breeds. Learn the History. Each of the breeds recognized by ARBA has a long and interesting history. While you might be most interested in your specific breed, it’s still interesting to learn the stories of how breeds came to be. 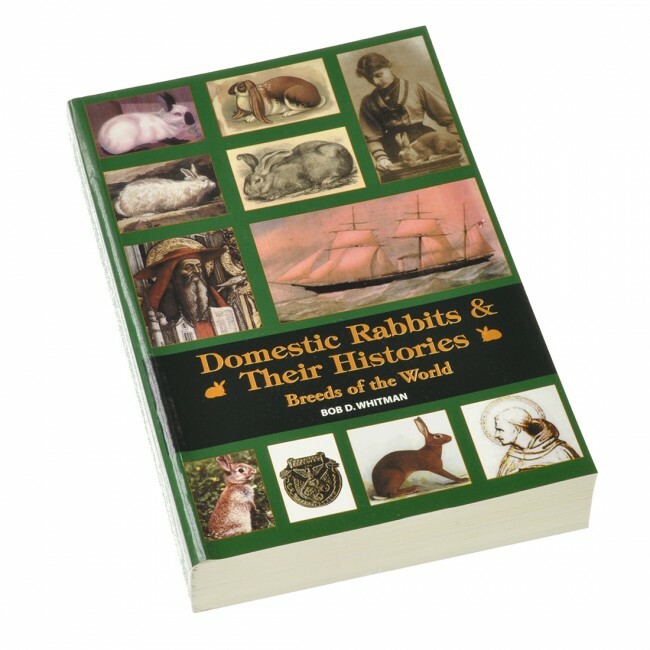 The book, Domestic Rabbits and Their Histories by Bob Whitman is a beautiful book with really interesting stories. While it may not be on your “urgent” purchases, it’s definitely worth the read as you become more knowledgable about rabbits in general. I recently read a discussion where a person wanting to purchase rabbits was very frustrated that the breeders they contacted had a “closed rabbitry” policy and wouldn’t allow visitors. I found it really interesting for a few reasons, one of which is that we also practice a policy of a closed rabbitry! 1. Babies. When we have new litters on a regular basis, we do our best to make sure our mamas have as little as possible to make them nervous. Unfamiliar voices and noises equal stress to a mama protecting her babies. 2. Disease. We know horror stories of people coming into a rabbitry and inadvertently introducing disease because they happened to be carrying a germ on their clothing or shoes. 3. Theft. More than one person has had their animals stolen shortly after they’ve been kind enough to give a guided tour of their facility. 4. Activists. We’ve received hate mail from people telling us we’ll burn in hell for having rabbits we raise for meat (although I believe our hell-bound status – or lack thereof – has much more to do with a personal relationship with Jesus Christ than our desire to eat healthy meat and participate fully in the food chain!). I’d rather not offer an open invitation to those who might not have our best interests at heart. 5. Privacy. In a blunt and non-friendly way (which kind of makes me cringe except it’s true), it’s really no one’s business to visit our home without an explicit invitation. Additionally, recent stories of murders that can be traced to sales meetings off of Craigslist have also given us a reason to pause about meeting people for rabbit sales. We’re not to the spot where we will only sell at shows… but we’re also not far off. Rabbits are just not worth putting our lives in danger! So what to do with this conundrum? Check the Sales Policy. Study a rabbitry’s Sales Policy and under what circumstances they’ll replace a rabbit. This gives you an assurance of replacement or refund and reasonable expectations. If a rabbitry doesn’t have a sales policy posted, don’t be shy about asking what kind of guarantees go with the animal you purchase. Ask around. Attend shows and watch how people interact with your seller. See if you can talk to people who have been customers of the rabbitry in the past. Accept the risk. In anything you do you’re going to have a risk. Make sure you aren’t spending so much on a rabbit that the risk is unacceptable to you! Relax. Remember… it’s a rabbit. At the end of the day, it’s still a rabbit. A rabbit is a wonderful thing… but it’s a rabbit. Relax a little! What tips do you have for finding a reputable breeder? What do you think about the closed rabbitry policy? Such good advice I couldn’t help but share! Each new year is a chance to make changes to your breeding program. How can you strengthen your herd for the coming year? How you can you meet the goals you’ve set for yourself? Be honest with yourself. How many does with tight crowns do you really need? How many bucks with rockin’ bodies but light bone do you have room to keep? Organize your herd on paper and make cuts where you can. It will save you both space and money in the long run, and the overall quality of your rabbits will increase in the coming year.